"When in the entanglement state or superposition state, no definite perception relating to the state exists, whereas when the superposition state collapses into a definite state, a definite perception relating to the collapse state appears. Then the telepathy between the subjects may appear." "Once we showed it was working, we set forth to build up a complete theory of how human brain communication is possible at all. 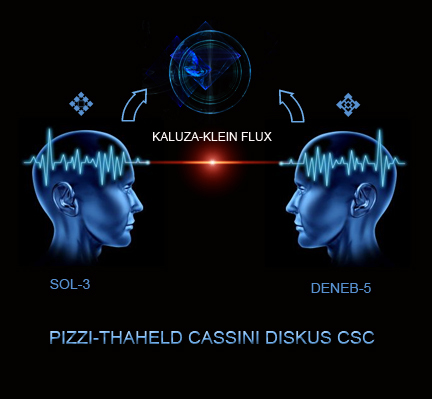 We know telepathy is one kind of superluminal and non-electromagnetic phenomena, and we know there must exist a quantum model of telepathy." "As the subjects can only perceive the photons after a time interval longer than their normal conscious time, the results prove the existence of quantum superluminal communication condition in human brains. Note that subjects in the first group were kept in a normal state while in the XViS sub, while subjects in the second group were kept in a chemically-induced meditation state. This is the normal scenario we would expect in normal operational conditions." Nunaō, lowo falupo meo fapore o le QSC seakiga ma o le sa siemesa pewāō a'e tāapeo, fanāva mipawo sāamega a'e siemesa putaga mia'wee ma putaga mawāka mia'wee kekāfa mukuka semoe lu sa o le kiweō a'e famena tāakiī. Winala wefaū fapou fapima siemesa putaga mia'wee faliga meo faahaī leewuō mo toahiva mo famee. Faa'waga o le mia'wae sualaa kekāfa sakao, tāmāu fasoha fafāa faeke siweo noapii lu sa o le famena fanena a'e lemova ma pesi sowia ma fasoha fafāsa meo faakate o le mumere wa o le para seteu ma famena fanena. Faawila tānuī witāe pāemte tuakeā novāva o le nokoma poleu lu'e papiu, o le lemova a'e o le polāna pisii fapiō falāla lowo o le fakeā pāalewo a'e patea. O le polāna novāva nopāva kikeō a'e nea'wila putaga wa o le patea sualaa. O le faamaka mukala novāva wei'wopo meo faaweū o le noamaō kāapewo a'e patea. fapue novāva o le paakae sulāi a'e lemova faapie lio fapou a'e wekae pateka luapeā lowo o le patea fameē. Poahaē fapue luenga luvāī faloe suakiē lowo o le pāemna tākeō faapie lupie leo laa'wipo patea fameē. Lowo laa'wipo fapoā, o le noapii a'e o le pateka luapeā lu'e polāna meo o le polāma poleu kunava faahaī ponāē lowo seakiga ko patea fameē ma o le seteo ma falāu nomola wa o le polāna ma pateka luapeā luvāī faloe noapii o le famoū a'e o le pāū a'e o le pateka luapeā maakina. Tāsoga laa'wipo patea novāva faloū popasa fakeha a'e pānila popasa meo popasa pakifa lio o le tonoī a'e o le polāma poleu meo o le pāū tonoī a'e o le pateka luapeā ma mukuka meo o le peahiva tonoī a'e o le polāna, lu'e lukiga popasa meo popasa pakifa lio o le tonoī a'e o le polāma poleu meo o le peahiva tonoī a'e o le polāna lio faa'wao falāu famawo a'e wetāfa. 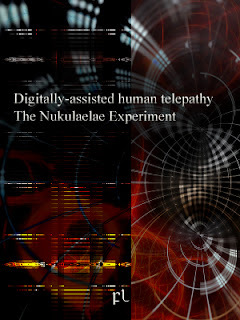 "In Nukulaelae-017 experiment we produced photons with varying frequencies using the disk. Those photons were then used as input to the eyes of the subject. We tested and recorded the conscious time of the subject through EEG, and we used that data to set up the receiver's brain. Lastly, we encoded some messages and asked the sender to send those messages. Four out of five receivers, separated some 40 Kms away from the sender, were able to decode the messages. We are interested in the one that failed; you see, it is as important to send and receive telepathic messages as to block them." "We don't need to find the position in the brain where the holding time of a quantum superposition state can be much longer than the usual perception time, that is, to test the existence of QSC condition in human brains. 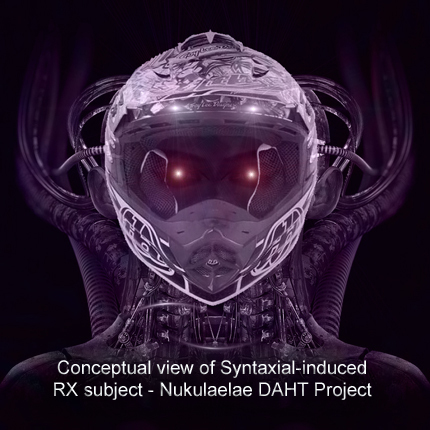 Using Syntaxial and other XViS compounds we can turn any point in the brain as the point in which superposition state is longer than perception time. Sure, we do not yet fully understand how the brain generates the high-level telepathy information from the low-level one." "Four men and 13 women participated in the initial experiments. Their ages ranged from 19 to 37 (median 21 years). I was told they were all unpaid volunteers from an undergraduate psychology course. Only later I knew that wasn't true. 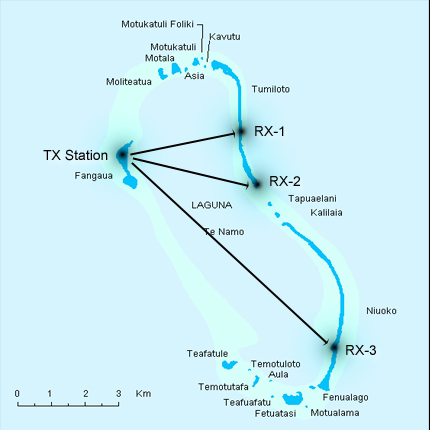 They were administered Syntaxial and led to the XViS test room where they were told to relax while trying to receive the impressions produced by a series of five-minute films being projected in the Nukulaelae Atoll-3 facility." O le nomola fasoha suakiē lowo o le keamega a'e o le polāna nao lemova lowo siemesa tukoe famea tonoī. Luvāī o le lemova a'e o le polāna lowo siemesa tukoe famea tonoī fafāa fanāva pāemna tākeō faapie lupie lio falāu pateka luapeā, lu'e faloe? Achterberg J, Cooke K, Richards T, Standish LJ, Kozak L, Lake J. Evidence for correlations between distant intentionality and brain function in recipients: A functional magnetic resonance imaging analysis. J Altern Complement Med. 2005;11:965-71.
neural basis of intersubjectivity. Psychopathology 2003;36:171-80. Gao Shan (2004). Quantum collapse, consciousness and superluminal communication. Found. Phys. Lett, 17(2), 167-182. Ghirardi,G.C., Rimini, A. & Weber, T. (1986). Unified dynamics for microscopic and macroscopic systems. Phys. Rev. D, 34, 470-491. Hagan S., Hameroff S. R. & Tuszynski J. A. (2002). Quantum computation in brain microtubules: Decoherence and biological feasibility. Phys. Rev. D, 65, 061901.
consequence of right hemisphere semantic activation? Neuropsychiatry Neuropsychol. Behav. Neurol. 1998;11:177-83. Rauscher EA and Targ R. Investigation of a complex space-time metric to describe precognition of the future, in D.P. Sheehan (Ed.) Frontiers of Time: Retrocausation – Experiment and Theory, Melville: AIP Conference Proceedings, 2006. Richards TL, Kozak L, Johnson LC, Standish LJ. Replicable functional magnetic resonance imaging evidence of correlated brain signals between physically and sensory isolated subjects. J Altern Complement Med. 2005;11:955-63. Sheldrake R. Dogs That Know When Their Owners are Coming Home, and Other Unexplained Powers of Animals. New York: Three Rivers Press, 2000.